Here's how my Aug. 11, 2003, column began: "Anyone who believes President Bush's Africa initiative, including sending U.S. troops to Liberia, will amount to more than a hill of beans is whistling Dixie. Maybe it's overly pessimistic, but most of Africa is a continent without much hope for its people." More than a decade has passed since that assessment, and little has changed to suggest a more optimistic outlook. 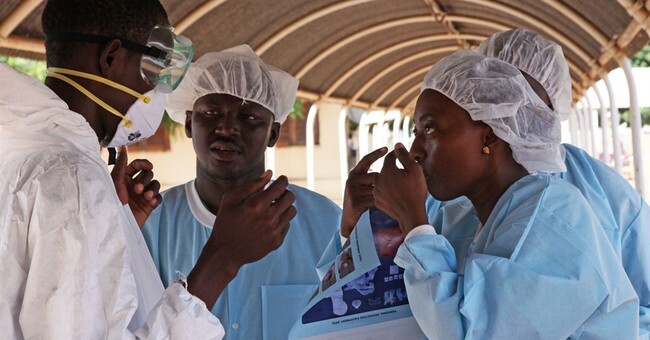 Now Ebola threatens the very existence of the West African nations Liberia, Sierra Leone and Guinea. Moreover, the deadly disease is likely to spread to neighboring nations. Each year, The Wall Street Journal and The Heritage Foundation publish an "Index of Economic Freedom," which measures economic liberty around the world. Mauritius is the only one of the 48 countries in sub-Saharan Africa to rank among the 10 freest economies in the world. Botswana is the second-freest African country, followed by Cape Verde. South Africa used to be near the top but has since declined. Of the other sub-Saharan countries, 11 are rated as "repressed" and 26 are "mostly unfree." Eight of the world's 20 least free economies are in Africa's sub-Saharan region. Poverty is not a cause but a result of Africa's problems. What African countries need the West cannot provide. They need personal liberty. That means a political system in which there are guarantees of private property rights, free markets, honest government and the rule of law. Africa's poverty is, for the most part, self-inflicted. Some people might disagree because their college professors taught them that the legacy of colonialism explains Third World poverty. That's nonsense. Canada was a colony. So were Australia, New Zealand and Hong Kong. In fact, the richest country in the world, the United States, was once a colony. By contrast, Third World countries such as Ethiopia, Liberia, Nepal and Bhutan were never colonies, yet they are home to some of the world's poorest people. There's no complete explanation for why some countries are affluent while others are poor, but there are some leads. Rank countries according to whether they are closer to being a free market economy or whether they're closer to having a socialist or planned economy. Then rank countries by per capita income. Doing so, we will find a general, though not perfect, pattern whereby those having a larger measure of economic freedom find their citizens enjoying a higher standard of living. Also, if we ranked countries according to how Freedom House or Amnesty International rates human rights protections, we'd find that citizens of freer market economies enjoy a greater measure of human rights protections. You can bet the rent money that the correlation among free markets, wealth and human rights protections is not coincidental. With but few exceptions, most African countries are worse off now than they were during colonialism, both in terms of standard of living and in terms of human rights protections. Once a food-exporting country, Zimbabwe recently stood near the brink of starvation. Sierra Leone is rich in minerals -- especially diamonds -- has highly fertile land and is the best port site in West Africa, but it has declined into a state of utter despair. Africa is the world's most natural-resources-rich continent. It has 50 percent of the world's gold, most of the world's diamonds and chromium, 90 percent of the cobalt, 40 percent of the world's potential hydroelectric power, 65 percent of the manganese, and millions of acres of untilled farmland, as well as other natural resources. Before independence, every African country was self-sufficient in food production; today many depend on imports, and others stand at the brink of famine. Though there's a strong case for us to help with the Ebola crisis, the worst thing Westerners could do to Africa would be to send more foreign aid. Foreign aid provides the financial resources that enable Africa's grossly corrupt and incompetent regimes to buy military equipment, pay off cronies and continue to oppress their people. It also provides resources for the leaders to live lavishly and set up "retirement" accounts in foreign banks.